WASHINGTON – A Democratic lawmaker filed a resolution in the House of Representatives that, if approved, would recognize February 12, 2017, as “Darwin Day” and celebrate the father of evolution’s contributions to science. 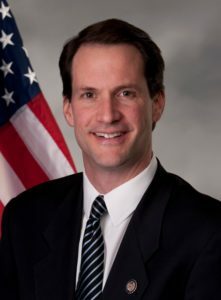 House Resolution 44, filed on Wednesday by Democratic Rep. James Himes of Connecticut, seeks to honor Darwin on the 208th anniversary of his birth. In addition to celebrating Darwin and his legacy, the resolution criticizes biblical creation, claiming it undermines the well-being of the nation’s education systems. Thirteen other Democratic representatives co-sponsored the resolution, which was referred to the House Committee on Science, Space, and Technology. On Thursday, the American Humanist Association applauded the pro-Darwin resolution. “Evolutionary ideas provide the foundation for this worldview because they seemingly allow mankind the ability to explain the existence of life and the universe without God,” Ham wrote in response to a 2015 Charles Darwin Day celebration in Delaware.